Independent musician Brandon Schott is using his talents in an unexpected way — to fight cancer. 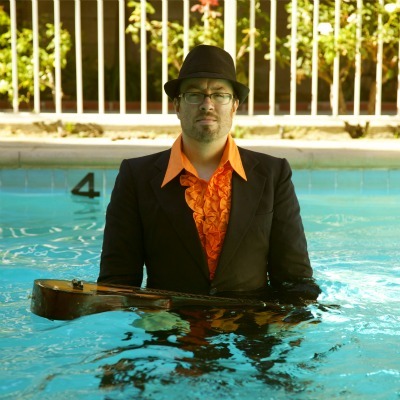 Popdose readers know Brandon Schott from previous appearances on the site, as well as his songcraft which has appeared in some of the finer independent pop-rock circles. What they might not know is some of his personal history and how it has influenced his music. That is about to change in a big way. Schott is about to release two Double-A-side singles; each with a different angle that reflects a similar central theme. We caught up with him on a special day in his life to talk about it. Popdose: You’re releasing two singles, concurrently on February 26, which is a date of significance to you. Why is that? Brandon Schott: It was 5 years ago to the day on February 26th that I found out I was cancer free, it’s a big anniversary for my family and I. Being that music has always been such an integral thread in my life’s story, it felt appropriate to mark the occasion with a few songs that speak to the last half decade. The first single is a collaboration with Jim Boggia. First, how did this partnership come together and second, what will be the two songs you will be doing? The single that Jim Boggia and I are putting out together is a AA-side featuring his song “Live The Proof” and a song of mine called “Turning Toward The Sun” for a project called Songs For Aidan. In late 2012, I was approached by a gentleman by the name of Lance Knox, whose son Aidan – 9 years old – is in treatment for Ewing Sarcoma, a form or bone marrow cancer. As a way to both lift Aidan’s spirits as well as share Lance’s deep love of music, he and his wife Jamie started up Songs For Aidan and called out to artists like Jim and myself, Mike Viola, (musician and former co-star of Blue’s Clues) Steve Burns and many others to dedicate songs to Aidan on his YouTube channel. Lance would play these videos for Aidan whenever he would get his treatments. This all started right around the 5 year anniversary of my diagnosis late last year, so it was very resonant for my part too. I’ve been so blessed to get to know the Knox’s these past few months. Aidan is doing great – pulling through like a champ, he’s got so much love out there for him. It was Lance’s idea to do the single with Jim and I – all to benefit the Child Life Department at the Children’s Hospital in Pittsburgh, PA (where Aidan received his treatment). It’s Aidan’s birthday on the 24th, so there’s a lot of celebrating this month. The second single is a more personal, family-related effort. Could you explain what prompted you to record these? For this single, I’m donating the proceeds to The Benjamin Center in Santa Monica, CA – a branch of the Cancer Support Community. When I was in high school (and then again years later when I was in treatment) I read Gilda Radner’s book It’s Always Something, in which she talks with amazing honesty and wit about her battle with ovarian cancer, and specifically about the comfort and community she found at this facility. The gift of community and support was such a huge part of my own story over the past 5 years, I wanted to also pay tribute to that spirit. With these two releases, and in the midst of all that’s been on my mind with my own “cancerversary,” it just seemed right to put these recordings out in the world now – celebrating those that are living with and recovering from this awful disease, as well as paying tribute to those we’ve lost. Is there a greater pressure on the artist/performer when they choose to release music for the benefit of another, or does than not factor into the writing/recording process (for various reasons from personal process to fear it will alter the outcome)? In the case of “You Take My Breath Away” and “Now,” these recordings came about very organically and without much thought to where they would eventually land – they just needed to be, and are very much of a moment as I mentioned before. As for “Turning Toward The Sun,” it was a song that Lance had told me meant a lot to his family, and was actually written while I was in treatment myself. Lance’s request was actually a very humbling and fitting way for me to return to the song, and my co-writer (Steve Barton) and I recorded the basic guitar/vocal track live in my studio last month – much in the spirit it was originally written. Ultimately, I just wanted the release of these songs to reflect the energy through which they were created. What is the plan for releasing these — digital, physical, and how will the purchase funds be transferred to the appropriate charities? In the case of Songs For Aidan, I was involved in recording my song and helping both tracks through the mastering process, but the Knox’s have set up their own site and are in close contact with the hospital to channel those proceeds. This single will have a limited run on CD and be available through Bandcamp at www.facebook.com/songsforaidan. The “Breath” single will be sold though my own Bandcamp account starting today – February 26th – and will likely hit iTunes and other digital outlets within the month, proceeds from which I’ll turn around directly to the Benjamin Center. Regarding my third question, is it the songwriter/performer’s responsibility to “get personal” in your opinion, or is it difficult for you to be so wide open with your personal history, as these songs seem to be…and do you have a process for getting to such openness? I don’t really feel a responsibility to anyone but myself to try to stay true to wherever I am at any given moment. I do feel that as a songwriter I signed up for a little emotional publicity, but that’s o.k. It’s difficult sometimes to talk about things like this outside of my music because songwriting – performing is my outlet – that’s how I sort through the unknown. But my work has always followed the thread of my life pretty closely; it’s just the way I ended up developing as an artist. There are some things that stay private, but for the larger questions and battles it’s actually a comfort ultimately to put it out there. Past the initial fear, I’m quickly comforted in the response I get that I’m not alone, I don’t feel so isolated, and in the process if I can help someone else feel connected to something then that’s totally cool. Has digital distribution made “charity” releases easier thanks, presumably, to lower overhead to make the effort happen? Do people still expect some physical form of this, or is that thinking going away? Well, my dream with the Take My Breath Away project was to put it out on 7″ vinyl, but as much as I looked into it – for an indie such as myself, it unfortunately became too cost prohibitive to do so. So yeah, the digital world has definitely made it incredibly easy to put these kinds of projects out so efficiently – it also greatly cuts down on the overhead, as you said, and funnels more money directly to the causes we’re supporting. So that’s definitely all good. The same way the Internet and social media has been a complement to the modern indie musician, I think the same is true for social and community outreach and education. There are so many organizations that speak to so many vastly different cancer threads. In my case specifically, I was 31 years old when I was diagnosed and treated – subsequently I did some searching at the time and found an organization called Stupid Cancer that specifically spoke to the young adult cancer story, both as advocates as well as providing invaluable human connections. I’ve made some amazing friends, and met some incredibly inspiring folks through them. They’ve helped me immensely and made me feel a far less isolated, though I may have been the only one in my direct social group that had ever experienced what I went through. So, I do think this is a great aspect of the times we live in. I have experienced in my family many instances of cancer, and they have uniformly ended poorly — so it is far too easy for me (and I imagine many) to become deeply cynical about cancer-related issues. Again, as a survivor, what would you say to those who see cancer as a hopeless case? Sorry to hear about your losses, man…I wish I had a roundly affirming response. It’s tough because everyone has a different – all too often painful – connection to this disease, but that’s also why I ultimately feel that the idea of community is so important. To have these kinds of conversations, connect with those who have lost – but to also grounded to those who are still living with cancer, in the aftermath of cancer or are perhaps still fighting – there are so many dialogs happening at once. When I was in treatment the amount of love I received along the way was such a huge gift to me and my family, one that I don’t think I’ll ever be able to repay. So these projects are just a small way for me to keep that energy flowing into what I hope is a positive thread in the larger story cancer tells. 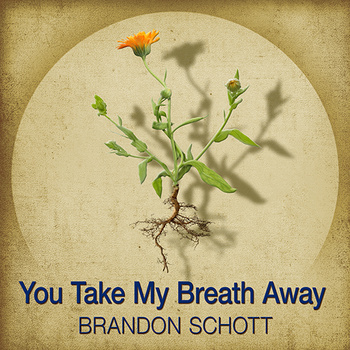 What is on Brandon Schott’s horizon after the release of these songs? Otherwise, I’ve got a couple of production projects on the burner, a songwriting blog called Defying Gravity Music I help curate, a dozen or so songs cooking in the oven, though I’m not actively working on a new record…..yet. But more than anything I’m just enjoying spending time with my family, trying to stay as present as possible.